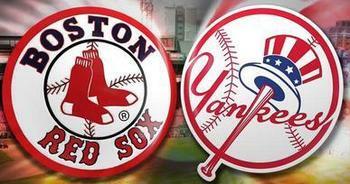 As we begin today with a MEANINGLESS Red Sox Yankees series…. As I have revitalized this blog, I have spent some time looking through all the “stats”, that’s right blogs have stats. Anyway, what the stats tell me is that among the widest read pieces I have posted here in three years, the Red Sox/Yankee rivalry is among the most popular. So I thought I would repost them! So here you go, the first in a multi part series! This first appeared on March 13, 2012. One thing I have learned in my 101 posts on this blog is that you who read it, help create it. I read something interesting and get an idea, I research and write about it and then I get a comment or an email and another article takes shape. So today, I give you The Anatomy of a Rivalry.